Produced by Micro-Trains, this heavyweight sleeper is decorated in the Shadow Line paint scheme that was applied to older cars allowing them to blend into a streamline passenger consist. There are two road names available. See also the Grand Canyon ATSF car. “Shadowlining” was used on smooth sided cars to create the illusion of fluting. 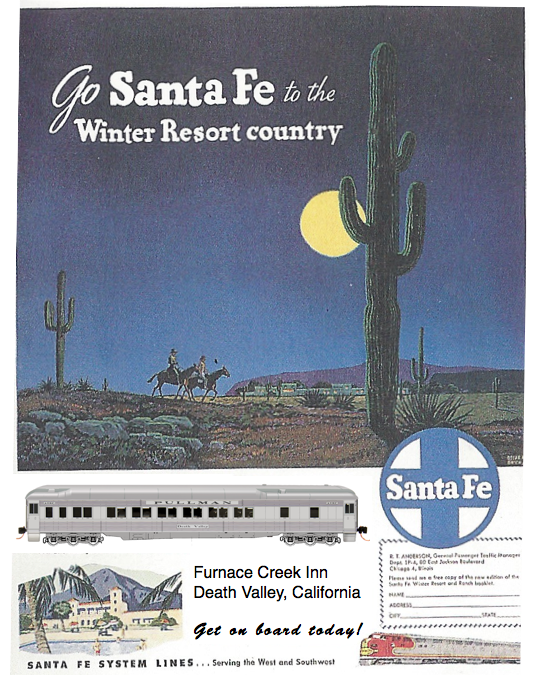 This type of car painting was known to have been used on several railroads and well known on the Santa Fe.